Recently finished and ready to move in now! 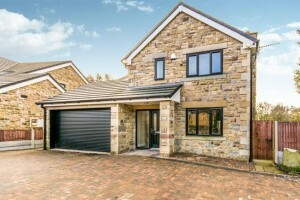 Two stunning newly built four bedroom detached properties built from reclaimed stone ‘random stone’ style using a well established local builder. 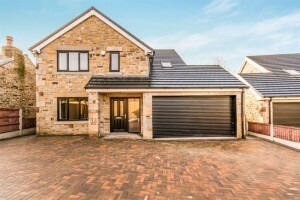 These executive detached properties have many features and have been built to an exacting standard; they really must be viewed to appreciate the craftsmanship and attention to detail. In brief the properties comprise: Entrance hall, lounge, dining room, orangery , kitchen, utility room and guest w.c. To the first floor are four bedrooms (three being doubles and two with en-suites) and family bathroom. The properties will have gas fired central heating, double glazing throughout, electric gated entrance, block paved courtyard and landscaped gardens. Extensive views to the rear, beyond a substantial and newly built perimeter wall, are of Leverhulme Park.